Vladičanski dvor (Bishop’s Palace) is situated at the very end of Zmaj Jovina Street in Novi Sad. 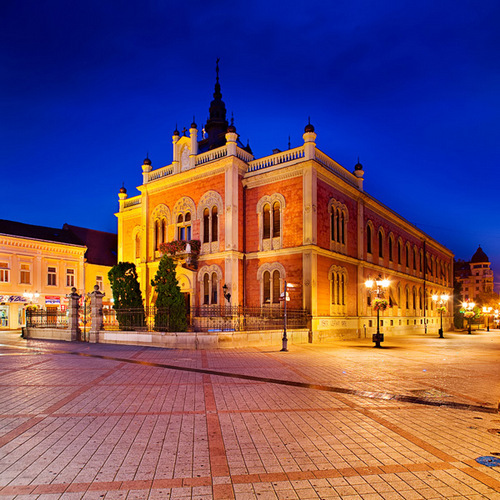 It represents one of the most valuable architectural works in Novi Sad. The project was made by a famous architect Vladimir Nikolić in 1899. Thus Novi Sad got a very attractive, but also a secretive palace for the citizens, even today. Its unusual design was the result of the impact of the rules that were established in the Viennese club of Professor Theophil Hansen the member of which Nikolić was. That is why the façade, besides the symbiosis of Byzantine and Eastern architectural and decorative elements, also got some elements of Serbian medieval monasteries. Trg slobode (Liberty Square) is the main city square in Novi Sad. It was made together with the foundation of the city itself, and it has changed names throughout history. During the Austrian-Hungarian reign it was called Franz Joseph’s Square, after the First World War it was Liberation Square, and after the Second World War it got its today’s name. There used to be a market on the square for some time, and today there are still some important buildings in Novi Sad: The Name of Mary Church (popularly known as ‘’the Cathedral’’), the City Hall, the Vojvodina Hotel, the head office of Vojvođanska banka (the former Grand Hotel), etc. 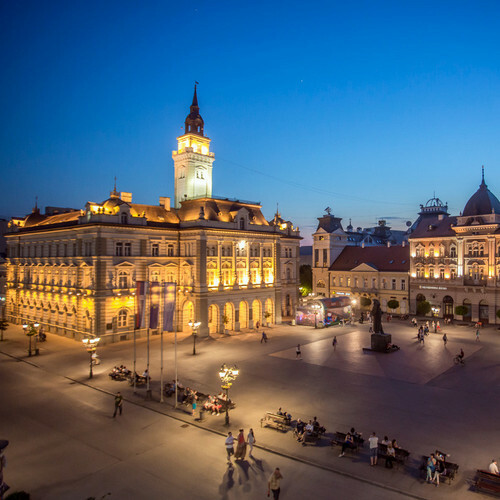 The square is a part of the pedestrian zone and it is continued by Zmaj Jovina Street. 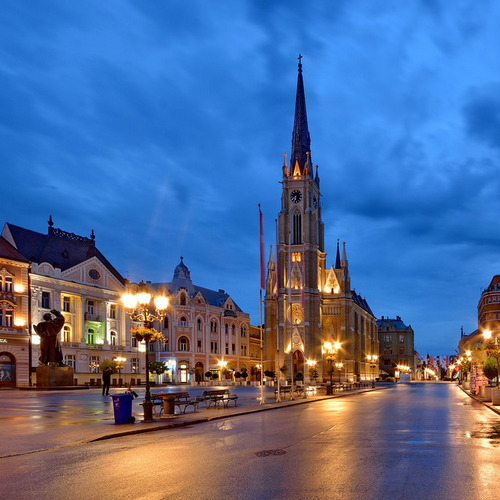 The Name of Mary Parish Church is a Roman Catholic church situated on the main city square in the centre of Novi Sad. It was built in 1895 by the architect George Molnar in Neo-Gothic style. It is dedicated to Virgin Mary. In the interior, there is an altar carved in wood, while the windows with stained glass are in Tyrolean style. The citizens of Novi Sad call this church ‘’the Cathedral’’ even though it is not such since the centre of the diocese of Bačka is in Subotica. Behind the parish church there is a Catholic porta with the head building of the ecclesiastical municipality – Plebania from 1809, Vatican palace and the Cultural Centre of Novi Sad. Dunavska Street is one of the most famous and the oldest streets in Novi Sad. The street as a road between the city centre and the bank of the Danube was constructed in the first years of the 18th century. It represents the main traffic connection of the city with the Danube, which also determined its social, historical and cultural significance. The development and the construction of the street were stopped by the bombing in 1894 when the street was completely destroyed to the ground. However, very soon it was reconstructed and then representative palaces started appearing there and they were built in the most modern European styles. The plots in Dunavska Street were the most expensive in the city and that is where the richest nobility of Novi Sad lived. 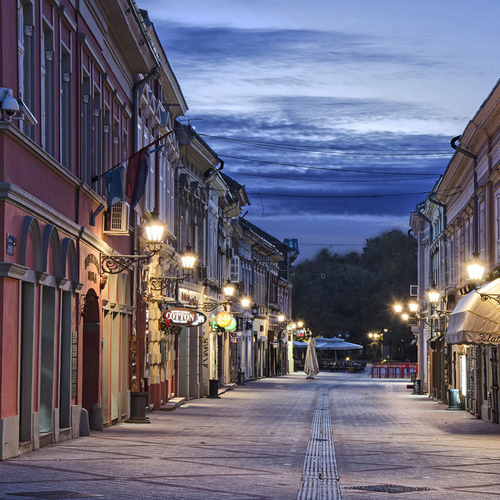 Today, Dunavska Street is one of the most popular promenades in Novi Sad. Petrovaradinska tvrđava (Petrovaradin Fortress) is situated in Novi Sad, on the right bank of the Danube. The fortress was built by Austrians in the period from 1692 to 1780 due to the constant threat by the Turks. Petrovaradinska tvrđava was built based on the plans of Keyserfeld and Marsigli and the military builders were the prominent military architects of the Austrian Empire. Especially important is the underground of the Fortress with its four floors and 16 kilometres of passageways. The tour along the underground galleries is recommended to be taken with expert guides from the City Museum of Novi Sad. 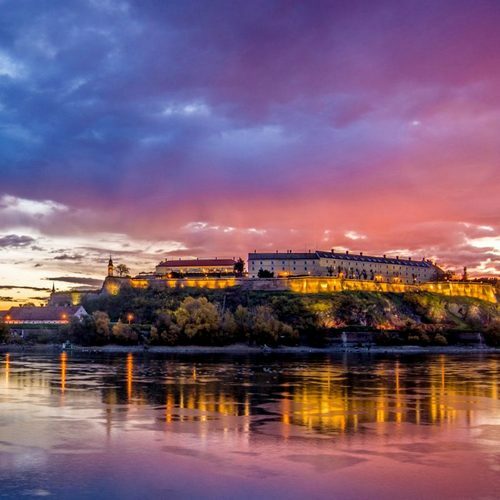 According to one legend, the name Petrovaradin was obtained from several words – ‘’petra’’ which means ‘’a rock’’ in Latin, ‘’var’’, meaning ‘’a city’’ in Hungarian and ‘’din’’ which means ‘’faith’’ in Turkish, and thus the derived name ‘’Petrovaradin’’ means ‘’a city on a rock as strong as faith’’.